Jamie Carragher admits Liverpool should look to match the ball-playing dominance Real Madrid demonstrated in Saturday’s Champions League final. For the Anfield legend, that means adding midfield reinforcements during the summer transfer window to compliment the work rate of Jurgen Klopp’s current options. Naby Keita is scheduled to officially sign for the club from RB Leipzig on July 1, bringing a fresh injection of attacking flair and athleticism. With Emre Can set to seal a free transfer to Juventus and Alex Oxlade-Chamberlain’s return date uncertain, Klopp finds himself in need of greater strength in depth ahead of next season. To completely disregard the passing expertise of Henderson and Milner would be a disservice to their respective roles in the team, yet there is no denying the superior influences of their opposite numbers in the middle of the park in Kiev. Both have often been instrumental in overseeing the swift transition from defence to attack so key to Liverpool’s attacking style of play, but the addition of another game-dictating no.6 would mark a meaningful step forward as a multi-functional side. 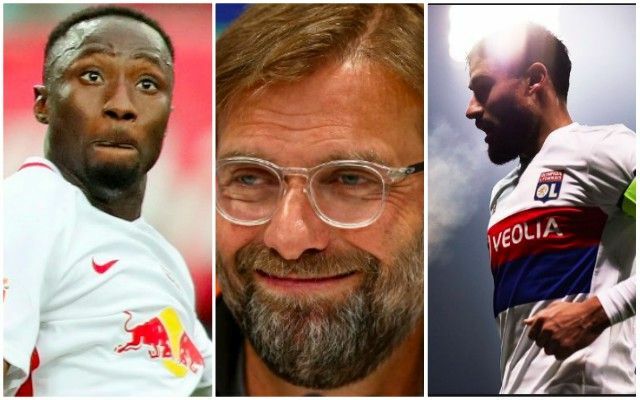 Liverpool’s likely midfield recruit could prove their must surprising piece of business this summer, with few names floating around as potential targets.